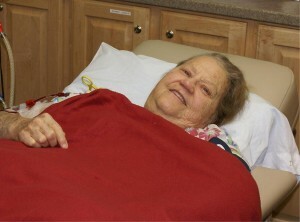 Bear Lake Memorial opened its dialysis center in June of 2006 thanks to a generous contribution from an area family. Since then, we have dedicated ourselves to providing the highest quality patient care and hospitality in the industry. We are proud to offer the services of our own Nephrologist, Dr. Robert Leach, who is available to our patients on a weekly basis. At Bear Lake Memorial Hospital, you can count on us to care. 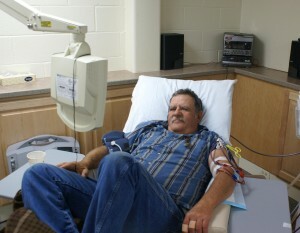 Garth Boehme had a stroke in August of 2008 and has been on dialysis since. He is currently working toward a kidney transplant and feels very lucky to not have to endure the long drive out of the Valley for his dialysis treatments. Garth is “grateful for the contributions” that have made this Center available to him and can’t imagine having to drive three-plus hours several days a week to receive the necessary treatments. 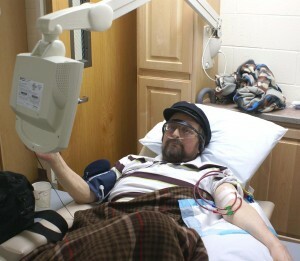 Prior to the Dialysis Center opening, Raymond Brower was a home dialysis patient. His daughter would have to be at his home for four hours 3 times a week. They would also have to travel to Idaho Falls anytime there was a problem with his machine and once a month for doctors’ appointments. As Raymond put it, “It was very involved.” He would have to manage a constant flow of people coming and going on a daily basis to pick up samples and make deliveries. Raymond wishes to share with the contributors that the center is a “godsend.” Not only is it wonderful to not have to deal with machines breaking down but it is much easier on his family, specifically his daughter, who gave up so much to help him while receiving his treatments at home. For more information or to schedule a treatment time please contact Megan at (208) 847-4325.